The sign of a great place to stay!! We are now open for the 2018 season with freshly decorated rooms and are looking forward to welcoming new and returning guests. We are open from early April until the end of October each year or by arrangement during the winter for bookings of 4 nights or more. 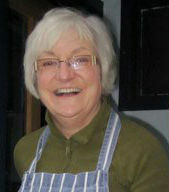 Your hostess, Margaret, takes a pride in making her guests feel "at home" and will do all in her power to make you feel comfortable and happy during your stay whether it is for a day or for a week. The Last Cottage was originally the home of Margaret's Grandparents and her mother grew up in this house and it has been in the family since 1909. I lived in Muenchen (Munich), Germany for 10 wonderful years and speak fluent German and Bayerisch !! 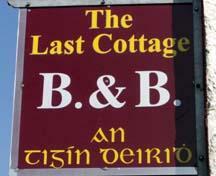 The Last Cottage in Dingle is located at the water's edge in a beautiful fishing town in the south west of Ireland. 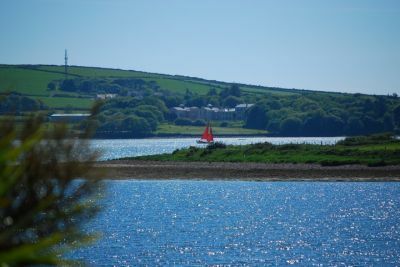 Dingle's many world renowned restaurants offer unrivaled cuisine with abundant fresh seafood. 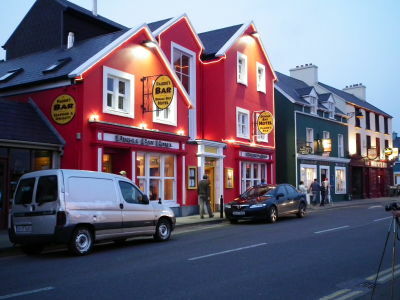 Over 50 pubs are authentic in music and "craic". There have been 71667 visitors (191657 hits) on this page!